Here are some snazzy birthday facts about 26th of January 1954 that no one tells you about. Don’t wait a minute longer and jump in using the content links below. Average read time of 10 minutes. Enjoy! What day was my birthday Jan 26, 1954? January 26, 1954 was a Tuesday and it was the 26th day of the year 1954. It was the 4th Tuesday of that year. The next time you can reuse your old 1954 calendar will be in 2021. Both calendars will be exactly the same! This is assuming you are not interested in the dates for Easter and other irregular holidays that are based on a lunisolar calendar. What day was January 26 this year? Fun stat: Your first one billion seconds (1,000,000,000) happened sometime on October 4, 1985. If a dog named Ruger Mathe - a Scottish Terrier breed, was born on the same date as you then it will be 280 dog years old today. A dog’s first human year is equal to 15 dog years. Dogs age differently depending on breed and size. When you reach the age of 6 Ruger Mathe will be 40 dog years old. From that point forward a small-sized dog like Ruger Mathe will age 4 dog years for every human year. View the complete list of January 26 celebrity birthdays. Who are the famous January 26 birthdays? Here’s a short list of famous people in history who were born on Jan 26. View the complete list of January 26 famous birthdays. What happened on my birthday – Jan 26th? Stanislaus I of Poland abdicates his throne. Rum Rebellion, the only successful (albeit short-lived) armed takeover of the government in Australia. First Battle of Seattle. Marines from the USS Decatur drive off American Indian attackers after all day battle with settlers. Troops loyal to The Mahdi conquer Khartoum, killing the Governor-General Charles George Gordon. World War II: The Red Army begins encircling the German Fourth Army near Heiligenbeil in East Prussia, which will end in destruction of the 4th Army two months later. The Beaumont Children go missing from Glenelg Beach near Adelaide, South Australia. Glendale train crash: Two trains derail killing 11 and injuring 200 in Glendale, California, near Los Angeles. Rioting breaks out in Antananarivo, Madagascar, sparking a political crisis that will result in the replacement of President Marc Ravalomanana with Andry Rajoelina. A giant snow storm hits much of the Northeastern United States. View the complete list of January 26 historical events. What does my birthday January 26, 1954 mean? 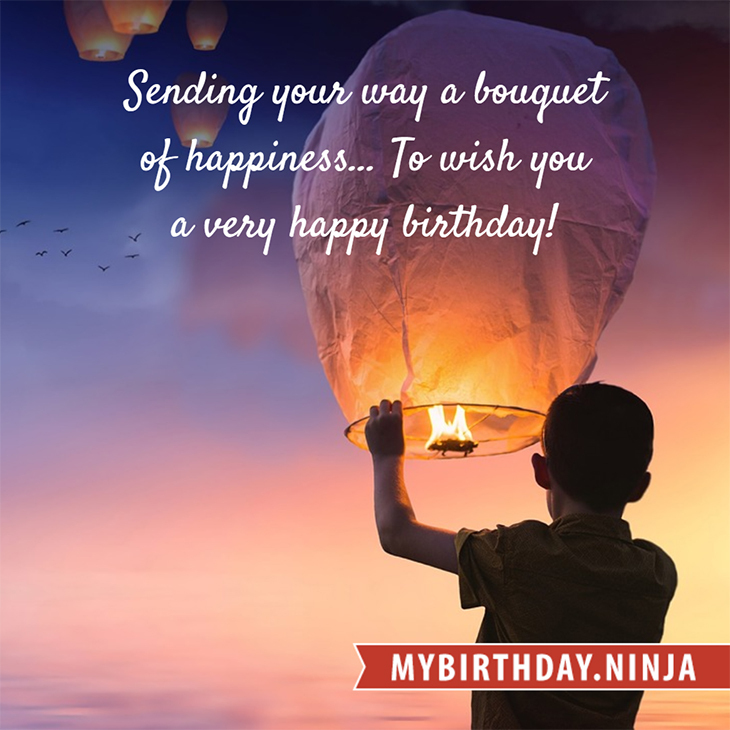 Your birthday numbers 1, 26, and 1954 reveal that your Life Path number is 1. It represents initiative, potential and singularity. You are a born leader. You insist on your right to make up your own mind; you demand freedom of thought and action. The following celebrities also have the same life path number: Kōichi Nagano, Graham Jarvis, Carmen Serano, Genta Ismajli, Sonny Strait, Robert Levon Been, Monica Vitti, Bill Kaulitz, Jason Segel, Killer Mike. What is the birthday horoscope for Jan 26, 1954? The Western zodiac or sun sign of a person born on January 26 is Aquarius ♒ (The Water-bearer) – a fixed sign with Air as Western element. The ruling planet is Uranus – the planet of originality. According to the ancient art of Chinese astrology (or Eastern zodiac), Snake is the mythical animal and Water is the Eastern element of a person born on January 26, 1954. What is the birthstone for January 26? Garnet is the modern birthstone for the month of January while Emerald is the mystical birth stone (based on Tibetan origin). The zodiac gemstone for Aquarius is garnet. Lastly, the birthday stone for the day of the week ‘Tuesday’ is ruby. Fun fact: The birth flower for 26th January 1954 is Carnation for friendship. 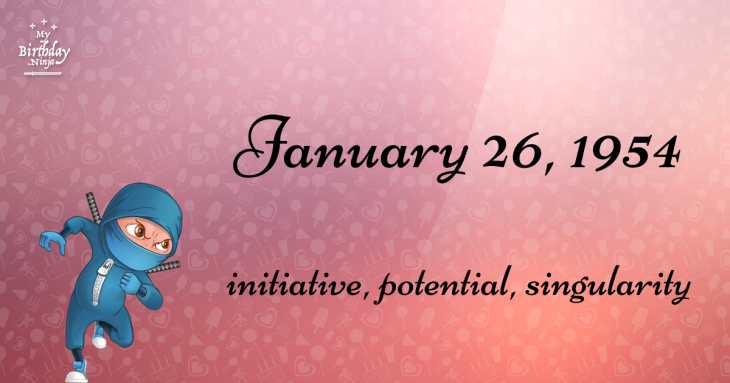 What is the Love Match for Jan 26, 1954? When it comes to love and relationship, you are most compatible with a person born on October 8, 1971. You have a Love Match compatibility score of +207. Imagine being in love with your soul mate. On the negative side, you are most incompatible with a person born on November 27, 1940. Your incompatibility score is -190. You’ll be like a cat and a dog on a love-hate relationship. Arf-arf, I want to bite you. Meow-meow, stay away from me! What is a good birthday trivia for January 26? How many babies were born on January 26, 1954? Base on the data published by the United Nations Population Division, an estimated 98,513,524 babies were born throughout the world in the year 1954. The estimated number of babies born on 26th January 1954 is 269,900. That’s equivalent to 187 babies every minute. Try to imagine if all of them are crying at the same time. What is the popular baby name on 26 Jan 1954? What’s your bizarre Florida Man story? The #FloridaManChallenge is breaking the Internet and social media. Some crazy men, women, or creatures from the Sunshine State are making headlines every day of the year including your birthday. Try this fun exercise. Pick your search engine of choice and type in “florida man January 26” and see what kind of wild news headline you will get. This viral craze started in 2013 and gets resurrected now and then. The latest was from Tumblr and found its way to Twitter. As they say, the rest is history. Here’s a quick list of all the fun birthday facts about January 26, 1954. Celebrities, famous birthdays, historical events, and past life were excluded. Try another birth date of someone you know or try the birthday of these celebrities: January 2, 1975 – Chris Cheney, Australian singer-songwriter, guitarist and producer; January 14, 1970 – Gene Snitsky, American wrestler and actor; March 23, 1946 – Alan Bleasdale, English screenwriter and producer.